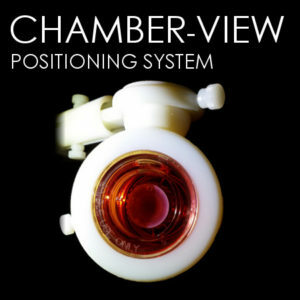 CHAMBER VIEW is a positioning system for corneal viewing chambers. It can be attached to most conventional chinrest posts to provide a steady but adjustable view of the tissue. Compatible with most 2in diameter chambers.